Tag Archive | "Student Insurance"
As you are already more than aware of, college isn’t cheap. So it’s understandable that adding another bill such as property insurance sounds like a complete drag. But in the end, property insurance can save you money since it can ensure that all of the pretty and oh-so-expensive “school supplies” you purchased to have a smooth semester (laptops, television sets, digital cameras, iPods and iPads) can be easily replaced if those valuables were to shamelessly get damaged by a weather storm, ruined by an accident-prone and forgetful friend, or stolen from a not-so-trusty worthy roommate. That said, finding the cash to protect your assets is equally as important as finding the funds to pay for tuition. But the questions remain: should you obtain a separate property insurance policy if you live in a dorm room? If your parents already have homeowner’s insurance and you still claim their home as your permanent residence, then their policy should automatically extend to your dorm room and you don’t need to pay extra. Of course, you will need to call your insurance provider to confirm that this extension is granted, but typically it is. In fact, most homeowner insurance providers allow their customers’ children a maximum of $1,500 in coverage when living in a dorm. Other providers like to go by the “10 percent rule.” So for example if your parents have $100,000 worth of insurance, then you should qualify for $10,000 coverage for your dorm room possessions. If you child decides to live in an off-campus apartment however, then the rules change. This is because technically you will be considered a renter and must obtain renter’s insurance to be covered. Luckily there are some cheap policies—some as low as $20 a month—that can protect your belongings. No matter if you live in a dorm or apartment however, there are a few things you should do to ensure that the claim processes go smoothly if an unfortunate incident were to ever occur. The first is to make an “inventory” list of all of your valuable possessions. This will help you recollect what you have (or don’t have). Secondly, it’s important to keep track of receipts to the most expensive items, like tech gadgets and other equipment, and store them some place safe. In case of a fire and everything gets torched, I recommend that you take photo-copies of receipts and mail them to your parents so that they have copies of the receipts as well. Lastly, if you don’t have receipts to certain items you can take digital photos of the valuables as an alternative as well. Take close-up shots of individual items as well as a panoramic view to get a better picture of where the items were placed. You should then upload those photos and email them to yourself or upload them to a free remote storage service like DropBox in case your laptop gets stolen. Today’s guest article is submitted by Nancy Wood. She is a resident blogger at onlinecollegeclasses.com, a website that helps students pursue their education online. Although she focuses most of her articles on alternative learners, she also enjoys help guiding traditional students and helping them save on school-related costs. She welcomes your comments below. If you’re under 26 and your parents have health insurance, then look no further. Under the Affordable Care Act (ACA), insurers are required to offer health insurance to children under the age of 26, regardless of marriage status or where you live. Currently, if you can receive health insurance through work, you aren’t eligible for dependent coverage, but starting in 2014, you can get on your parent’s plan even if your employer offers health insurance. In most cases, this will be the cheapest coverage available to you, so if you can, don’t hesitate to call up mom or dad. 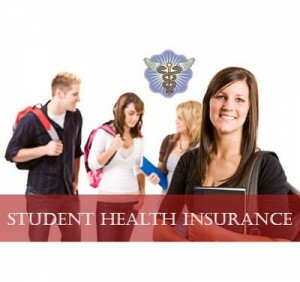 Many colleges offer a student health insurance plan. Recent changes have required student health insurance plans to comply with existing regulations that apply to all other insurance. This means that insurer’s will be barred from limiting the coverage they offer if you get really sick, they will offer women’s health care services like birth control without requiring extra out of pocket costs, and you cannot be denied for having a pre-existing condition if you’re under 19. Prices can vary by school, but it’s likely less than what you would spend finding good coverage for yourself – particularly with new requirements that insurers now spend a certain amount of your premiums on care, not profit. Even if you already have insurance, your school likely has a health center where you can get check-ups and medicine if you’re sick. Be sure to take advantage of these resources since you’re already paying for them! If you went to college and are a part of the Alumni Association, there’s a good chance you can get health insurance through them. This could be a good option since it’s often cheaper to be part of a group plan rather than buying individual insurance. Call your Alumni Association to find out and finally put that alumni card to good use. Some organizations and groups offer health insurance as a benefit of membership. Your local Chamber of Commerce or even your state may offer a plan, particularly if you cannot find coverage because insurers deny you due to an existing illness. If you buy health insurance through these plans, you might even pay less and get better coverage than if you try and buy health insurance on your own. In some states, young adults are able to get Medicaid if they make below a certain amount. If you have kids or are expecting kids than there’s also a pretty good chance you’re eligible for some type of coverage. Starting in 2014, all people making under a certain amount will be eligible for subsidies to buy health insurance, and depending on your state, eligible for Medicaid. So for example, if you work 20 hours a week at minimum wage, you’ll be eligible for Medicaid. Check with your state health department to find out what you’re eligible for now and the next few years. Buying your own plan can be a bit tricky at times but having health insurance can save you thousands of dollars in health costs later on – and many days worth of productivity. In 2014, states will open Exchanges, which are online marketplaces for insurance. You can look up plans in one place, find all of the details about the plan (without any fine print), and possibly qualify for subsidies to help pay for insurance. 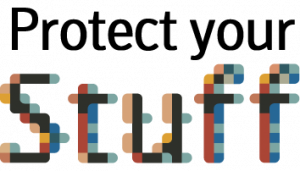 In the meantime, use healthcare.gov to check out some of the major providers in your state, and see what options are available to you. When buying health insurance, though, make sure to read the fine print. Many plans labeled as “young adult” are often cheaper in premiums, but that’s because they have a high deductible. This means you’ll pay less each month, but you will have to pay possibly $5,000 or $6,000 if you go to the doctor or get sick before your health insurance will actually kick in. In other words, it protects you against catastrophes but doesn’t help as much with typical medical expenses. Figure out what works for you. Today’s guest article comes from Brian Burrell. He is the State Outreach and Policy Coordinator for Young Invincibles. In the coming months, he will be providing an informative series on CheapScholar.org related to changes in the health care/insurance industry. So, stay tuned for more updates. For more information on Young Invincibles, visit YoungInvincibles.org, like them on Facebook, or you can follow them on Twitter: @YI_Care. If you’ve spent much time traveling with your parents, you’ve probably heard them talk about the first apartment they lived in, or the first dog they owned or that telemarketing job your mom had for two months. It might be strange to imagine your parents living in cheap housing, working trivial jobs and scraping by. But when you’re a 20-something, that’s part of life. As a college student, you may not think you have much in the way of valuable possessions. But take a look around – you probably have some things you couldn’t live without. You have a computer you need for class. You have a cell phone, probably a television, maybe even a gaming system you keep around for much needed study breaks. All in all, your stuff may be worth more than you think. While in college it’s important to protect the valuables that you have and also learn to budget for valuables you’ll want in the near future. You live in a dorm and so do a thousand other students. You don’t steal computers, but that doesn’t mean everyone else shares your values. There are several common-sense things you can do to make sure your stuff is safe, including locking your dorm room door, never leaving your backpack unattended and never allowing people to be in your room unattended. But what if a tornado or violent storm hits your dorm? Most schools won’t be liable for damage to your clothes, computers, or iPods, even from natural causes. How are you protected, then? Personal property insurance is a great way to attach insured value to your possessions despite weather or personal theft. Dorms may feel inherently safer than apartments, simply because they’re on school property and a resident adviser is patrolling the hallways looking for suspicious activity. But when you move to an off-campus apartment, you may be sharing a building with people who you never see, or with mischievous children or clumsy smokers that increase the odds of your building burning down. Renters insurance is essential, if you want to protect your belongings. Imagine how difficult it would be to replace everything you own – given the cost of textbooks, you might be in a world of hurt without renters insurance. If parents are covering the cost of your dorm fees or renters insurance, don’t simply say thank you. Go the extra mile to learn what those expenses are. If you have a budget separate from your parents, make sure that you understand how your budget fits into all your overall expenses, so you have a true understanding of what your cost of living currently is. Look ahead at what expenses you’ll have upon graduation when you take over the expenses your parents are currently covering. Do you want to eventually own a home? Know what costs are associated with it. 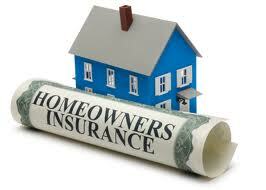 Just as with an apartment, you’ll need insurance coverage for your home as well. Utilities and taxes are other expenses to consider. If you have a firm grasp on your what kind of financial future you’d like, you can begin to plan for it in college. It may also help you grasp the importance of protecting your belongings as you accrue them. It may even influence what area of study you choose. Make financial responsibility part of your of college experience. Even if you’re receiving much needed assistance from your parents, you can and should be part of the financial decision making process. Seeing the big picture now will make for a brighter future. Today’s guest article is provided by Lindsey Harper Mac. She is a professional writer living in the Indianapolis area that specializes in writing guest posts on social media and education. Currently, Lindsey is completing work on her master’s degree. If you’re having a hard time saying good bye to your college-bound son or daughter, you may find some reassurance in the fact that your homeowners insurance policy may extend protection to your child even while they are living under another roof. Many homeowners are surprised to find that their home insurance policy provides coverage for family members living elsewhere. There are, of course, some exclusions, so it’s important to understand what is truly covered and what is not. While coverage can vary from policy to policy, most homeowners insurance policies provide coverage for covered family members living at a residential premises other than the primary insured’s residence- AKA a college dorm or apartment. Typically, to extend the coverage to a student he/she must still be considered a covered family member of the household. This usually means the parents are providing at least half of the child’s financial support. In this case, they would be extended two types of coverage: personal property and personal liability. Personal property coverage protects your personal possessions in the event of a covered loss such as theft or damage caused by a covered peril. This coverage includes items often taken away to college such as high value items like electronics and jewelry. Both are commonly subject to theft in both on- and off-campus environments. While computers are now required for students by most colleges, it’s usually best to advise your college student to leave other expensive items (such as jewelry) at home to prevent the possibility of loss in the first place. Personal liability coverage on a homeowners policy is also extended to students who are away at school and still financially dependent on their parents. Liability protection on a homeowners policy protects homeowners’ finances in the event they are presented with a lawsuit. Therefore, if your college student causes bodily injury or property damage to another person while away at college and a lawsuit is presented against them, your policy would most likely help pay for associated legal defense fees and court costs. There are exclusions to every policy, however, and it’s important to know the exclusions that could apply in this scenario. For example, if your child is taking time off from school or staying over the summer and not attending classes, some homeowners insurers might deny any claims for them while they are living away from home. Also, when it comes to personal liability there are some exclusions that involve scenarios where college students are involved in posting unflattering pictures on social media, “sexting”, cyber-bullying, etc. A lawsuit presented to a college student responsible for committing this type of act may be denied as the insurer will most likely say that this behavior was intentional and therefore excluded from personal liability coverage completely. The best way to understand what type of coverage you have for your college student under your homeowners insurance policy is to ask your agent about the specifics of your own policy. Hopefully you’ll never need to use it, but in the event you do- it’s best to know ahead of time what is covered. Today’s guest article is provided by Carrie Wile. She currently serves as the Director of Marketing for HomeInsurance.com and enjoys sharing her knowledge of the insurance industry with others. Regardless of whether you are a recent graduate from high school or an older adult headed back to college for a new degree, the possible ramifications of being blindsided with a serious and unexpected medical condition while in college are significant. The ramifications would of course be amplified without health insurance—the financial costs alone can be staggering. Some simple research, planning, and minor investment in a health insurance plan during your college years can mean the difference between a small deductible and thousands of dollars of medical debt on top of your student loans. Understanding your options is the first step in developing a health insurance strategy for your college years. In 2010, the United States congress signed into law the Affordable Care Act (ACA). While the ACA was principally focused on health insurance for all US citizens, it also included provisions specific to college students. In March of 2012, the Department of Health and Human Services released final regulations for Student Health Insurance Coverage under the ACA, which clarified and expanded some of the ACA’s provisions as it relates to student coverage. Following is a discussion of the changes resulting from the ACA, the HHS rules and other student health insurance options. The first question you need to address is whether or not you are able to be covered by your parents’ insurance plan. If you are, this should carry over through your college years, thanks to the health insurance provisions of the ACA. Prior to the signing of the ACA, health insurance policies often limited coverage of dependents to those of minor age, and required all dependents covered by the policy to be living in the same residence of the primary policy holder. Under the ACA, however, these restrictions were relaxed to allow non-resident coverage, and extended the maximum coverable age to 26. Be aware though that being covered by your parent’s insurance policy doesn’t always solve all of the health insurance problems. Most insurance plans require the provider to be a member of their network. This may pose a problem to students who are attending college far from their parents’ residence. While the provisions of the ACA do address this issue in regard to Emergency Room visits, they do not eliminate the risk that you may pay a premium for out-of-network service providers. If you are not eligible to be insured under your parent’s policy you still have several options. First and foremost among these is to seek coverage under your college or university’s health insurance plan, if it has one. According to the U.S. government’s General Accounting Office, more than half of all colleges and universities sponsor their own medical insurance plans for students. The GAO reported annual premiums for the policies ranging from as little as $30 per year to as much as $2,400, with an average of $850 per year. The best way to check if this is an option for you is to consult with your Office of Student Services to see if the college offers health insurance coverage. In addition, health care clinics and services are often available to students on campus and can supplement the provisions of your college’s insurance plan. The HHS regulations redefine the way the plans are classified, and therefore changes the way that coverage is made available. The new rule defines ACA student plans as “individual health care coverage” and offers new protections. Some of these include the removal of lifetime limits on coverage, restrictions on insurance companies being able to drop coverage in the midst of sickness, and a lifting of pre-existing condition restrictions for students under the age of 19. The purpose of the new rule is to keep students covered in most circumstances until the new health care regulations of 2014 take place. The new HHS rule dictates that annual limits must be a minimum of $100,000 for policies from July to September of 2012, and a minimum of $500,000 from September of 2012 to January of 2014. After January of 2014, no limits may be imposed. This could result in higher premiums for coverage. Starting in 2013, calculations of medical loss ratio will have to take in a wider variety of plans, making sure that students are not excluded because of the plan they have chosen. This also, includes a move from State by State aggregation to national aggregation. Health insurance issuers will be required to disclose to the student when the policy being issued does not meet the minimum annual limits requirements. Students must also be notified when they become eligible for health coverage as a dependent under their parents’ employer plan The rule also states that students must be notified in terms that they can easily understand so as to avoid confusion, and that such notices must be posted in easy to spot places so that everyone is aware of what they are purchasing. Students will now have more control over their health care options. The new rule helps to ensure that students have access to healthcare that they need, and that they are given viable, affordable options. The rule also is designed to help students be more aware of what rules, restrictions, and provisions their health care plans include so that they are not caught off guard by unseen changes. The ACA has met with significant debate by citizens and legislators, and the fact that full enactment of its provisions doesn’t happen until 2014, mean that there is still uncertainty as to how long these rules will remain in place. Congress is scheduled to consider the ACA again during the summer of 2012 and it’s likely that the debate (and possible changes to the law) will continue during the roll-out period. However, as already discussed, there are aspects of the law pertaining to health insurance coverage that are already implemented, including options for acquiring both private and government-provided coverage. One of the best ways to figure out these options is to check out the presentation of current and future provisions of the Affordable Care Act at Healthcare.gov. A provision of the ACA designed to facilitate preventative care and which was put into effect immediately upon enactment of the law is its coverage of certain preventative care screenings—these procedures have been made available to all health insurance policy holders without charge, and without payment of normal co-pay fees or charges. 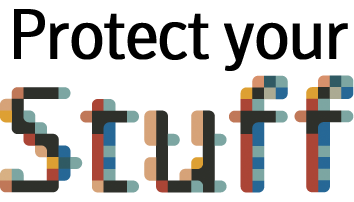 Many students now order their prescriptions online, which provides them with a continuous supply of the medications that they need, while saving them money in the process. If you find that the prescriptions that you need are breaking the bank every month, you can definitely take advantage of some online offers that are sure to save you money. Online pharmacies are also much more convenient than traditional versions, since you do not have to wait for your prescription to be filled or visit a store during regular business hours. If your campus does not have a major medical clinic it is a good idea to check on the availability of free or reduced-fee health care services provided the local county or city health clinics. Many of these clinics provide an impressive array of services that many are not aware of, and provide these services at incredibly affordable prices. Nearly every county in the country that is large enough to host a college or university campus will have a public health facility of some kind. It is also important to know that in the case of an actual medical emergency, even if you do not have medical insurance, there is the hospital Emergency Room. In accordance with the Emergency Medical Treatment and Active Labor Act (EMTALA), Hospital Emergency Medical Departments cannot turn away patients who demonstrate an immediate health conditions which is recognized as an “emergency health situation” under the guidelines of the EMTALA. The ACA has done much to improve the availability and affordability of healthcare for college students. Understanding the recent changes, as well as your other options, will help you identify a health insurance plan and strategy that is right for you. Today’s guest article is provided by Ryan Devereux. Mr. Devereux is a financial blogger who has followed the healthcare debate in the United States. He wrote this article on behalf of the team atwww.OTSchools.com, who work to find the appropriate occupational therapy academic program for prospective therapists. Health insurance is just one of those things that everyone should have. College students, of all people, should definitely have some sort of health insurance coverage to provide a financial cushion for any medical ailments that fall upon them during their time away at school. The question is, what are their options in regard to health care and what is the associated expense? Enroll in the School’s Health Insurance: Colleges want all of the students on their campuses to have some sort of medical coverage. In order to achieve this, they have usually partnered up with an insurance provider to come up with an optional medical coverage plan just for students. I refer to it as optional but most schools will charge you the fee upfront and enroll you in the plan unless you opt-out of the insurance, submit a waiver (electronic or paper), and show proof of alternate coverage. I have seen the annual fees vary on student health insurance from anywhere as low as $190 to as high as $1800. A report from the U.S. Govt Accountability Office (GAO) states that $850 is about the average fee charged by colleges in the nation. If you decide to use the school’s program you just need to be mindful of the coverage and know if there are any limits that are imposed. The cost of these college health insurance programs are fairly cheap but as you can imagine, you get what you pay for, so the coverage may also have it’s short-comings. Get an Individual Health Insurance Policy: Just about every medical insurance provider in the country has some sort of individual insurance plan that they provide to the public. 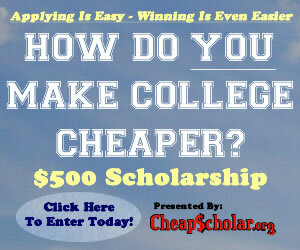 Some of these programs are even geared (priced) for the typical college student. The GAO estimates that the average premium for this type of program is going to be approximately $1400 a year. As you can see, it may be costlier than the college program but chances are the coverage will be better. Pick a Plan That Satisfies Your Medical Needs – If you are prone to needing medical care, a more comprehensive plan is the right choice for you. It may cost more up front but it will save you money over time. Don’t Over Insure – If you stay on your parent’s plan, then make sure you opt-out of the college’s health insurance option. No sense in paying for something that you won’t use. Check Out Coverage Limits – If you have to go with the school’s insurance plan or sign up for an individual policy, make sure you are aware of any limitations to the coverage. It is not uncommon for these insurance companies to put a cap on how much they will spend on each illness or injury. Find Out How The Campus Health Center Operates – Most campus based health centers will only accept the insurance provided by the school. 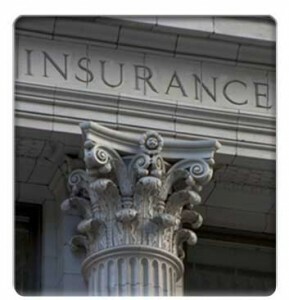 All other insurance claims would be your responsibility to submit to your insurance provider. This means you have to pay the fees up front and then seek reimbursement from your insurance company (you can imagine how daunting of a task this can be…). Consult Your Insurance Provider – In order to avoid the headache associated with the tip above, check with your insurance provider to find in-network doctors that are close in proximity to the school. They could prove to be a better option than the campus health center.